Galileo Russell is the host of the HyperChange TV YouTube channel. Galileo is a young visionary. On his channel, he covers how new tech will change the world for his generation. The sharing economy, everything as a service, blockchain tech that allows trust on the internet in ways that have never existed before and how you can participate and invest in this new future. He breaks down company strategies to see how they square up to in this the quickly coming future. His Moonshot Monday videos are radical ideas that could change the landscape for the target companies. For example, he discussed Amazon buying a grocery chain long before Amazon's Whole Foods purchase. Now he's advocating for them to install rooftop gardens on all their stories to sell the freshest possible fruits and vegetables. With drone delivery, you could have fresh-picked produce at your door just minutes after it was picked from the garden. Is it practical today? Maybe not, but it's a great example of his out-of-the-box thinking. One of his favorite companies to discuss is Tesla. He's been covering them since 2012 and recommended the stock when it was priced at $29. He is a fan and gives astute breakdowns of Tesla news and the company's future direction. Other stocks he frequently covers includes NetFlix and Chipotle. He also covers cryptocurrencies Bitcoin and Ethereum as well as investing basics education. His latest project is a "scheme of conscience" book, titled after his channel. The book has minimal structure and, as the title suggests, is a conversational stream of conscience. If you'd like a raw look into the mind of a young excited visionary that sees a whole new world coming for his generation, I suggest you give this a read. 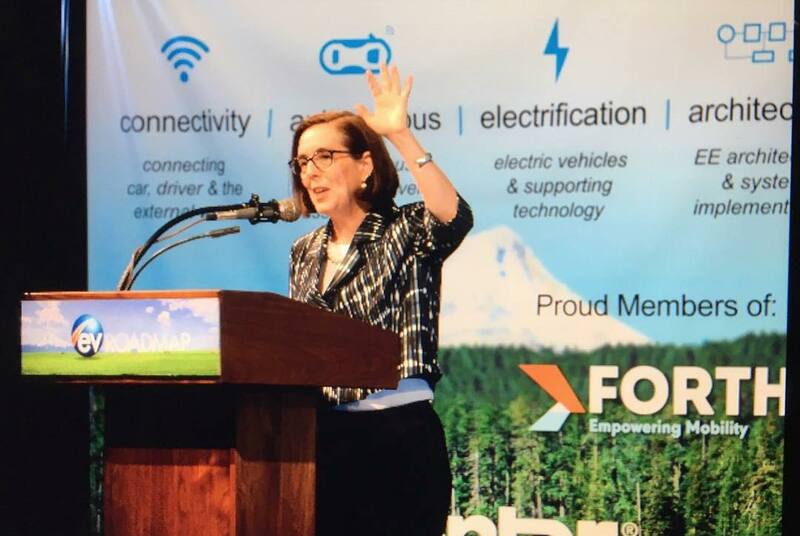 Oregon Governor Kate Brown has set a goal to have 50,000 plug-in cars on the state’s roads by the end of 2020. On the Thursday morning of the Portland International Auto Show, Charlie Allcock from Portland General Electric spoke to an informal gathering of EV policymakers and advocates. Charlie had done some math and said by his reckoning, Oregon needs to register around 35 plug-in electric vehicles per day to reach that goal. For comparison, in 2017 Oregon added an average of 10.6 plug-ins per day. That was a modest increase over 2016's rate of 9.4 per day. So how do you more than triple the number of EVs sold in the sale? Two state EV-rebate programs: As of the start of 2018, Oregon has a $2500 EV incentive for vehicles that qualify. Additionally, there is a second $2500 incentive for low-income households that can be combined with the first incentive for a total of $5000 off the price of an EV. Combine this with the $7500 federal incentive and the fuel saves and EVs become affordable to many more people. $10 Million from the state's Volkswagen dieselgate settlement fund will be used for EV infrastructure "with a focus on connecting rural communities, low-income communities, and Oregonians living in multi-family homes"
2018 Tesla Model 3 Production: 80,000 or 264,000? We've had an ongoing series to track the number of cars that Tesla delivers. In the US, there's a very good reason to be concerned with deliveries. That reason is the federal EV incentive that begins a phase-out countdown after the 200,000th vehicle is delivered. The effort of tracking the deliveries has led us to monitoring Tesla's manufacturing results. With that in mind, we'll look at Tesla's most recent production guidance and we'll look at the model we've built based on their historic delivery results and see how closely they align. In the last few days [of the 4th quarter], we hit a production rate ... that extrapolates to over 1,000 Model 3's per week. These tells us a few things: They are making about 30,00 Model S & X per quarter, they are currently capable of 1,000 Model 3s per week as of the end of 2017. They plan a slow, quality-focused ramp up to 2,500 per week by the end of Q1, and finally, they plan to be at 5,000 per week by the end of Q2. What people should absolutely have zero concern about, and I mean zero, is that Tesla will achieve a 10,000 unit production week by the end of next year… I think people should really not have any concerns that we won’t reach that outcome from a production rate. Using these statements, we'll try to set an upper and lower bound on Tesla's guidance. Since the latest guidance didn't mention anything beyond 5,000 per week, for the low end, we'll just keep it at this level. That seems unlikely given the "zero concern" comment, but it gives us a bigger delta between the high and low guidance ranges. Considering the uncertainty of forecasting, wide error bars seems like a good idea. Following Tesla's guidance, if they meet their 2,500 and 5,000 targets, they'll produce ~189,000 Model 3s in 2018. If they hit the high end of guidance and continue to ramp up to 10,000 per week by the end of the year, they would have ~264,000 Model 3s produced in 2018. Add about 100,000 Model S and X and Tesla could have their first 300,000+ year. Back in its NUMMI days, the Fremont factory had the capacity to produce about ~500,000 cars per year, so this is not an impossibility for this location. However, going from ~50,000 in 2017 to ~300,000 in 2018 is a big jump; it is not just a doubling, but a 6X. Rather than just going by Tesla's guidance, let's look at the historical data from Tesla's deliveries and see how that projects forward. This is "driving by the rearview mirror", but it can provide a sanity check. The mathematical model that we're using looks at Tesla's prior US deliveries and simply projects a best-fit growth. Since Model 3 deliveries are currently only going to the US, this seems reasonable. This math model does not have any targets, goals, or shareholders. It's just an equation, not an undeniable fate. It doesn't account for innovation or step functions. The majority of the data that feeds this model is based 5 and a half years of Model S and X deliveries. Model 3 is being made with an entirely new manufacturing line and new processes, so this model is of limited value. That said, if the model agrees with Tesla's guidance, this will allow for increased confidence in the guidance. 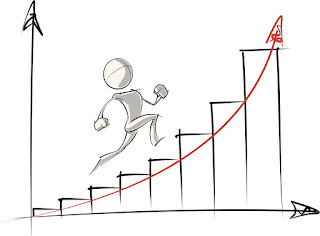 Many types of exponential growth charts have a hockey-stick curve. 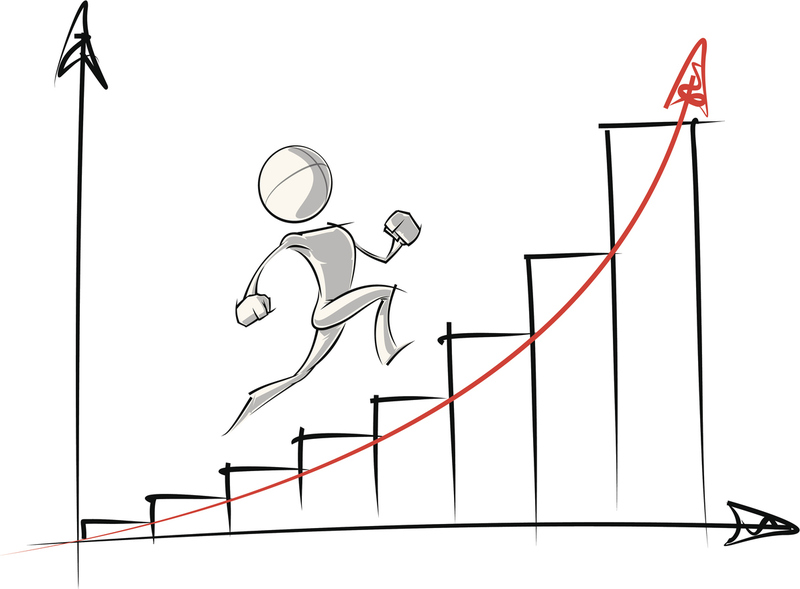 When they hit the "elbow" and "go exponential" the values grow drastically. As you can see, Tesla's guidance, even their low guidance, anticipates going exponential in Q2 of this year. Our model (the green line) is much more pessimistic. It does have growth in Tesla's production, it even predicts a record year for Tesla, but not to the level of Tesla's guidance. Let's zoom in on 2018 for a little closer look. There's a big difference between these three lines. There are a lot of unknowns for 2018. The chart shows that 2018 Model 3 production could be anywhere from 80,000 to 264,000 Model 3s. Tesla's Model 3 guidance throughout all of 2017 has been highly optimistic and production has fallen short, but they will resolve the bottlenecks (perhaps they already have), they will turn the corner of the elbow, production will make a big jump and "go exponential". Our model has this occurring in 2019. I hope Tesla's guidance for 2018 is more accurate and we see it this year. The optimistic estimates for Model 3 production in 2017 predicted about 80,000 vehicles. Tesla delivered a couple thousand. Ironically, for this year, our model predicts this same number (80,000), yet it is considered pessimistic, in light of Tesla's guidance and the optimistic projections by others. As we've covered here, setting very aggressive goals (and often falling short, while still achieving great things) is a part of Musk's leadership style. 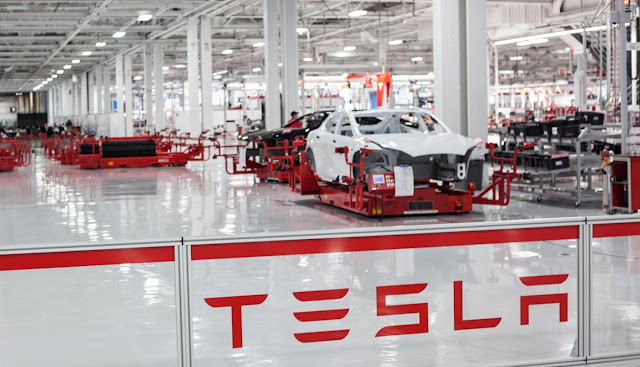 It would not be a surprise if one or more suppliers stumbles in 2018 as Tesla attempts to go from 1,000 Model 3 units per week to 5,000 per week. Given these logistics, the 80,000 units for the year estimate seems realistic. All while Tesla also delivers more Model S and X cars than they ever have before too. In 2007, (part 4) I became an EV driver and an EV advocate. Later that year (part 5), we installed solar panels. This had turned me into an advocate. I joined the Electric Auto Association, Plug In America, and Solar Oregon. I blogged and wrote for Plugincars.com and All Cars Electric (now part of Green Car Reports) and I advocated for automakers to make EVs. In 2008, I meet several designers, engineers, and a program manager from Nissan. They were working on their new EV and they wanted to hear what EV drivers loved about there cars (or truck in my case). I would learn later that this is what would become the Nissan Leaf. We were in a large conference room. There were several EV drivers and several people from Nissan. They had several questions for us. My first statement to them was cautionary. Remembering my disappointing Xebra test drive, I explained how they should not over-commit and under-deliver. If they said the car would go 100 miles. Then it needed to be able to go 100 miles at freeway speeds while managing the hills that are common here. Unfortunately, Nissan didn't listen to this. When the Leaf came out, it was EPA rated for 72 miles, but much of their marketing emphasized that you could get up to 100 miles. I suggested that they have a simple way to show the current range on the navigation map. Then I could look and see if my destination is within the "you-can-make-it" zone without taking the time to type in an address. This made it into the final vehicle. The format was a small group interview, two of the other interviewees, started arguing about regen levels. One wanted heavy regen to maximize energy recapture. The other wanted light regen to allow gliding for hypermiling and range maximization. I interrupted their argument, to point out to the Nissan folks that this was a "religious war" within the EV community. Their best option was to offer two modes; otherwise, they would immediately alienate whichever portion of the community they didn't select. This made it into the final vehicle. I suggested that the car has its own data connection and that it included charging locations in the navigation system. It was important that the car had its own data connection so it could get over-the-air (OTA) updates because new charging stations were going to be getting installed every week. The old process of taking your car into the dealership for a map update would not work. This too made it into the final vehicle. Today, these seem obvious, but remember this was 2008. 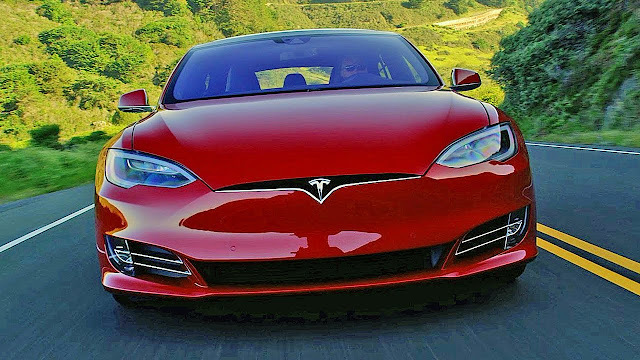 It would be 4 years before the Tesla Model S came out and took OTA updates and other aspects to the next level. This was a great experience. It was so cool to be able to meet with people at a company that were working on an EV program and to shares ideas with them. I had never owned a Nissan vehicle before, but I was now very curious about their plans and wanted to know what they'd do with all of this research that they were collecting from EV drivers. I'd have to wait more than a year before I learned more about Nissan's plans. Part 4 concluded in 2007, I'd just became an EV driver. This was such a better driving experience than anything I'd ever driven before. For me, owning an EV turned me into an advocate. I started a blog, I participated in newsgroups and forums, I drove my EV in parades, showed it whenever I had a chance. I became a passionate advocate for the technology. There have been studies that show that even when EVs are powered from a fossil fuel powered grid, that they are more efficient and have less CO2 per mile than gas cars when the entire well-to-wheel analysis is done. While it is true that EVs are better than gas cars even when grid-powered, that is a long story to tell. It is much easier to just say when they are solar powered, there is no CO2. 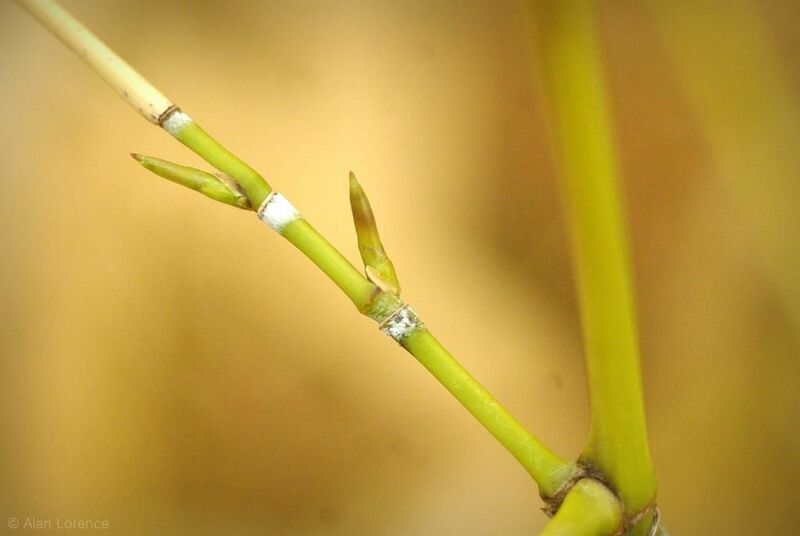 Before we had an electric car, I didn't really think about where my electricity came from. The fact that I was plugging in my personal transportation each night and feeling it surge when I pressed on the accelerator, changed things. Somehow EV driving suddenly made the source of my electricity matter more to me than flipping a light switch ever did. So we started shopping for a solar photovoltaic (PV) system to put on our roof. In late 2007, we had a 4kW PV installed on our roof; twenty panels, 200W each. This was enough to power about 16,000 miles of EV driving each year. I drove less than half that amount. The rest would help power our refrigerator and air conditioner. Now we had solar panels to "fuel" up our EV and we had a lower electricity bill than we did before we bought the EV. We were running on sunshine. (or three) relevant to this discussion: one, the US Federal Tax Credit survived the political budget process; two, the Tesla Model 3 began shipping to Tesla employees in July and (3) to non-employees in December. Now that Model 3 is shipping, I (and thousands of others) are patiently (or not so patiently) awaiting our delivery and (if we're in the US) we want to know if we'll get the EV tax credit for our new Tesla! Tesla released their 2017 delivery numbers, so we can update our prediction model and see where it forecasts the incentive phase out to begin and how many more Tesla vehicles can qualify for the full $7500 amount. Tesla delivered just over 50,000 cars to the US market in 2017 with ~15,000 of those in Q4. This brings the total US delivery number up to ~160,000 cars. Remember the incentive starts its phase out 3 to 6 months after a manufacturer hits 200,000 deliveries. So Tesla only has ~40,000 cars to go before the trigger number is hit and the countdown starts to reduce the incentive. For the example schedule above the First Production vehicle could be delivered in just four weeks from the time the configure button is clicked. The more affordable $35,000 car could be delivered a few months later, and finally, the Dual Motor All-Wheel Drive in seven to nine months after the First Production would be in your driveway. There is still no official word on the white interior or the performance version of Model 3 yet. If those are on your desired feature list, keep your fingers crossed that they roll out with the model variants above. If your car were on this example schedule and you waited for the Dual Motor AWD car, would you receive the full $7500 tax credit? We've been tracking Tesla's US sales for over a year now. About a year, back then we predicted that Tesla would cross the 200,000 mark in Q2 of 2018. The Tesla superfans thought this was crazy late because Tesla would be making 5.000 Model 3s per week by the end of 2017. While I hoped they were right, the data said otherwise. Rather, we looked at all the hurdles that needed to be overcome and said that Tesla would ship a few thousand Model 3s in 2017. Musk's own warning statements (not his bold predictions) were used to support this forecast. As the 2017 production numbers rolled in each quarter, our prediction continued to come into focus as you can see here, here, and here. Just as it has for more than a year, our model predicts the 200,000th US Tesla car will be delivered in Q2 of 2018. This is not the hyped expectation nor the pessimistic one; each of which have their following, but a realistic prediction that, so far, has proven to hold up over one year's worth of additional car deliveries. If this model is correct and the 200,000th car is delivered in Q2 of 2018, here's how the incentive would phase out. That means the example delivery schedule given at the beginning of this article, could wait for the standard battery in "Early 2018" or the dual motor AWD in Q3 and still receive the full incentive. Looking at the prediction model in more detail, since it shows 200,000th delivery in June (late in Q2), Tesla may opt to stockpile some and/or divert some Model S and X deliveries to Norway or China so that the 200,000 mark is crossed in July rather than June. Delivering the milestone vehicle early in the 3rd quarter would allow Tesla to maximize the number of deliveries that fall under the full incentive. This is likely to be a decision that is made as late as possible so they will have the most certainty possible. 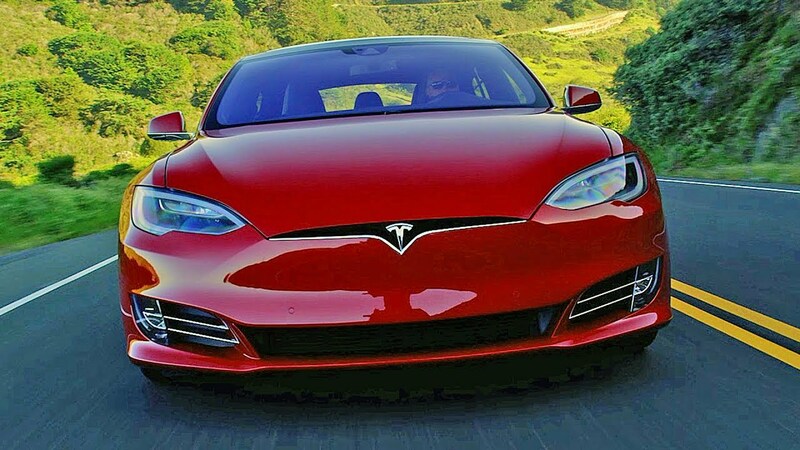 If Tesla cannot deliver the 200,000th car in April of 2018, they will likely delay the delivery if that milestone vehicle until July. What does Tesla have in store for us in 2018? Following Tesla, there are always surprises. You never know when Elon Musk is going to launch a car into space or tweet about drilling tunnels, selling flamethrowers, or building a 50s style diner with food delivery on roller skates. By July of 2018, we can expect Tesla to be the first automaker to cross the 200,000 US vehicle delivery mark. This starts the countdown to phase out the US federal incentive for Tesla's vehicles. If you've talked about (or read about) autonomous cars, then you've heard of "The Trolley Problem." If you haven't encountered this, count yourself lucky. There's a runaway trolley car is barreling down the tracks. There's no way for you to stop it. Ahead, on the tracks, there are 5 people tied down, unable to move. The trolley is headed straight for them. You're standing next to a track lever. If you pull the lever, the trolley will divert to a different track and the 5 will be safe. However, there's 1 person tied to the other track. What do you do? Each time I've encountered it, I thought, "Who cares? In the real-world, it will never come up. 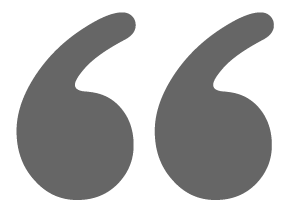 It is just a philosophical debate of no consequence." Chatting with a friend, the topic again came up and after my "This doesn't matter" objections, we agreed that, if for no other reason than the press around the topic, some variation of the trolley problem will be put into the training simulators for self-driving cars and the cars will have to do something, the system will have to make a choice. What should it be? You can save five lives by sacrificing one. Would you do it? Assuming you know nothing about the people, the utilitarian answer seems to be: Pull the lever because 5 is greater than 1. You've saved a net-sum of 4 lives. Let’s continue that reasoning. If you were sitting on a bridge above the tracks, and you saw the trolley heading towards 5 people, and you knew that you could shove the person next to you off the bridge, thereby derailing the trolley and saving 5, should you do it? In this second case, most people now say 'No' because murder. The results are the same in each case, 1 person dies to save 5 based on your actions; yet, these two feel very different. I propose that the response in the 2nd case (the bridge), of doing nothing, is the right one for both situations. In both cases, the 5 are the ones that are in danger (by who knows what cause) and the 1 has not put themselves in danger (they were off the active track…). So the 5 must be the ones to suffer the consequences of their circumstances and it is wrong to force anyone else to suffer on their behalf. Let's look at one more example, Murder Hospital, to make this point. If there were a national organ registry and they analyzed it periodically. During this analysis, if they found out that you could save 5 or more people by having your organs harvested, then they would round you up for harvesting. My guess is that you would not like to live in a world with that system. Even if they told you that you would save 5 lives, plus your skin will be used for graphs to help burn victims and your eyes will be used to restore sight for someone. Your blood will go to help people in an ER. You will help more than a dozen people in very positive ways. Saving lives and restoring sight, you should be honored that you’ve been selected. And as part of the package, your family gets a lottery-sized check and will be taken care of for life. One life seems like a small price to pay to bring life and joy to so many. So we should implement forced organ harvesting immediately, right? Of course not! You might feel sympathy for these sick people and you may donate money to their causes or volunteer time to their organizations, but sacrificing your life for people that you don't know is asking too much. In the end, the tragic situations of their lives are theirs to deal with; reasonable help and support are all that should be expected. These life and death choices are not made by the simple utility of the outcome. They have to be based on the fairness of the situation. As Murder Hospital demonstrates, sacrificing an uninvolved bystander without their consent is wrong, even if it saves the greater number of people. Applying this to autonomous cars, it means that the car doesn’t swerve into the smaller crowd, to avoid the larger one. If the car cannot avoid the accident (avoidance is, of course, always preferred), then it does all they can (such as braking) to mitigate the damage to what is right in front of them and then just lets fate take its course. This action is "more human." In the midst of an accident, no one is going to go through the ethical debate of which way to swerve. It is far more likely that they would just hit the brakes. It is easier to program. Look for a clear path, if one cannot be found, then brake. You won’t have bystander video footage of a car flying off the road and hitting innocent pedestrians. Advantages aside, self-driving cars should act this way because it is the right thing to do. I assert that self-driving cars should act to minimize involvement (rather than simple utilitarian harm). When there's an imminent accident, the people, be they pedestrians crossing the street or in an oncoming car, are already involved. They voluntarily entered the arena where cars traverse. In doing so, they took on some measure of risk and responsibility. So my answer to The Trolley Problem is to stay on the straight tracks. In a car, however, there are no tracks. Cars will have many more options. They can dodge, skid, brake, drift, and more. Autonomous cars will, at some point, have thousands of years of driving experience and skills beyond any human. These cars will be controlled by powerful AIs that do this one thing (driving) really really well. With these skills, they will likely find a way to avoid hitting anyone. Which all brings me back to the start: The Trolley Problem, won't be a problem.